This uber handsome British tie in dark green and navy is an essential accessory that every man should have in his closet. 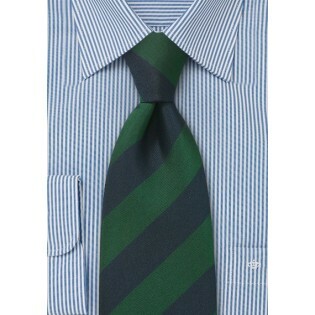 The quintessential color palette and the sophisticated design make this power tie a cinch to mix and match. 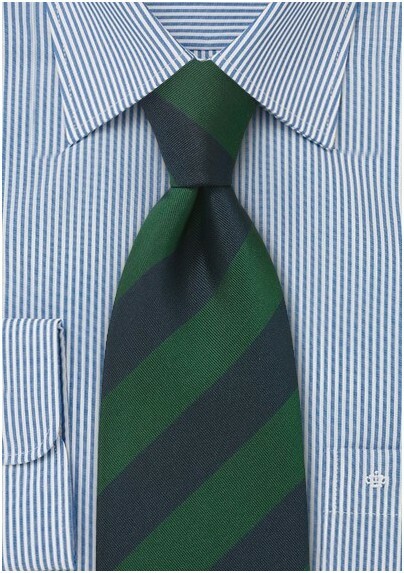 This classically cool tie is perfect for office meetings, parties, weddings and practically anything else in between. Designed with expert craftsmanship by the Parsley Design House and handwoven using 100% silk.